Artscape, America’s largest free arts festival, invites visual & performing artists to be a part of its 34th year! In 2015, the festival’s “Dive In!” theme encourages projects both literally and/or conceptually using water as a creative element. The Baltimore Office of Promotion & The Arts is accepting applications for the Artists’ Market, Artscape Gallery Network, “Ebb & Flow,” “Lazy River,” LOL @ Artscape, Sound Off Live!, opera, theatre, dance, classical music, and more. Applications are available at www.artscape.org/applications. The deadlines for submission and application fees vary. Artscape takes place July 17 through July 19, 2015 along Mount Royal Avenue and North Charles Street. Artscape is produced by the Baltimore Office of Promotion & The Arts. In partnership with Open Space Baltimore, applications are being accepted for the Alternative Gallery Fair. The pop-up fair is composed of artist run galleries and exhibition spaces displaying artwork, installations and performances by the artists they represent. Emerging and innovative small, DIY, artist run and cooperatively managed art and exhibition venues from Baltimore and beyond are encouraged to apply. The deadline for submissions is Monday, March 16 at noon. Artscape and the American Visionary Art Museum host the annual Art Car Show & CARavan/Parade. Commissions are available for the creation of new cars, bikes and other wheeled vehicles. In keeping with the 2015 theme of water, entries with a sea creature, oceanic, ship-based or otherwise water-based theme will be prioritized in the selection of work. The deadline for submissions is Friday, March 20. The Artists’ Market highlights visual artists who create and execute original, professional quality work. Submission categories include mixed media, clay, drawing/graphics/printmaking, fiber/leather, glass, jewelry, metal, painting, photography/digital art, wearable art/fashion, wood and other. The deadline for submissions is Tuesday, March 31. The Emerging Artist Program provides an Artists’ Market space to a local up-and-coming artist at no cost. Selected artists will be paired with mentors – established artists working in the same medium who will be available as a resource. A limited number of scholarships are available for this competitive program. Applicants must complete Artists’ Market application by Tuesday, March 31. Nonprofit organizations that support the visual or performing arts in Baltimore and the surrounding region can apply for exhibition space at the festival. Groups have the opportunity to reach thousands of festival-goers; therefore, they are encouraged to use the exhibit space as a marketing and promotional tool. Eligible nonprofits include arts-related cultural institutions, cultural resources and educational institutions. The deadline for submissions is Tuesday, March 31. Supported by M&T Bank, the Artscape Gallery Network is an expansion of the Sondheim Artscape Prize. The program features artists and art galleries throughout Baltimore City and County in an effort to raise the visibility of and attract more visitors to the region’s thriving arts community. A highly-visible, multi-media marketing campaign accompanies the program. The deadline for submissions is Friday, April 10. Hosted in MICA’s Pinkard Gallery, “Ebb & Flow” is an indoor exhibition which includes artwork whose subject matter touches on this year’s Artscape theme, water. Artists are encouraged to think broadly, both literally and abstractly in their interpretation of this theme. Applications will be accepted that include already existing work and proposals for new work. The deadline for submissions is Monday, March 30. As part of the festival’s refocused food & beverage program, Artscape has five designated dining areas: The Art of Food Café, Baltimore BBQ, Food Truck Rally, Art of the Bay Café and Chesapeake Vendors. In keeping with the theme of water, vendors with menus offering seafood are especially sought after. The deadline for submissions is Sunday, March 15. “The Fred” awards $1,000 to a high school student artist living in Baltimore City as well as a stipend to produce a solo exhibition, with mentorship from BOPA staff, to be on display at the 34th annual Artscape. Applicants must be rising seniors at the time of application submission. The deadline for submissions is Monday, March 31. Gamescape showcases videogames and the creative people who make them. Developers and designers are invited to promote their work through demos and panels. The deadline for submissions is Friday, April 3. For the second year, the Greater Baltimore Cultural Alliance (GBCA) hosts the Culture Tent at Artscape. The tent is a place to experience and learn about the amazing breadth of arts & culture taking place in the Baltimore region. GBCA member organizations interested in participating should contact Elena Kostakis at ekostakis@baltimoreculture.org. “Harbor High Port (of Call) & Other Phenomenades” is a collection of sculptures, pop-up kiosks and participatory art installations exhibited during Artscape 2015. Approximately ten installations and ten sculptures are featured along the Charles Street Bridge corridor. In keeping with the water theme celebrated throughout this year’s festival, all installations reference Baltimore’s iconic Inner Harbor waterfront as if it were relocated via an imagined high tide to Charles Street. Artists are encouraged to use any reference points from the harbor’s past, present and future. The deadline for submissions is Monday, March 16. 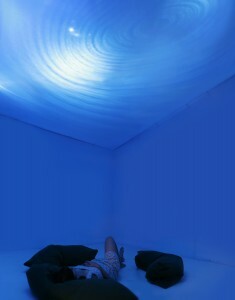 Take a dip in the sea of exploration! Kidscape invites Artscape’s youngest attendees and their families to let their imaginations flow with workshops, arts & crafts, hands-on experiences and live performances on the “Splashin’ Stage.” Organizations and institutions interested in bringing water-themed ideas should contact Pooja Sampathi atpsampathi@promotionandarts.org. The deadline for submissions is Monday, March 16. Artscape 2015 includes approximately three large-scale outdoor performance and/or interactive artwork anchors. Artists and artist collaborative groups working in both the visual and performing arts are encouraged to apply. Projects should incorporate this year’s theme of water. Proposals that both literally and/or conceptually include the theme of water are encouraged. The deadline for submissions is Monday, March 30. “Lazy River” consists of approximately 8-12 sculptures, installations and various rotating live performances. Together, these aspects create a visually implied “lazy river” in an ode to this pillar of summertime nostalgia and family fun, as well as to the visual look of summer theme parks worldwide. Festival-goers are able to experience these sculptures and installations as individual sights along the river’s edge, around the river-bend, through choppy, piranha‐infested waters, smooth sailing, and everything in between. The deadline for submissions is Monday, March 2. LOL@Artscape is Artscape’s funniest event! The two-night performance highlights the area’s best up-and-coming comedic talents. Selected comics will be expected to perform sets between 10 and 15 minutes. The deadline for submissions is Friday, April 10. Artscape accepts applications from business and organizations in the Bolton Hill, Midtown and Station North Arts & Entertainment districts that offer a unique experience for festival goers during the week of Artscape, July 13-19. The deadline for submissions is Tuesday, March 31. Artscape hosts a full schedule of dance, theatre, street theatre, pop-up performances, opera, classical and folk music as well as other creative performances. Performers and performance groups should engage and entertain a broad spectrum of Artscape festival-goers while also developing new audiences. Special attention is given to performances which incorporate the 2015 theme of water. The deadline for submissions is Monday, March 30. On Thursday, April 9 and Friday, April 10, local bands compete for one of Artscape’s limited time slots. Sound Off Live! 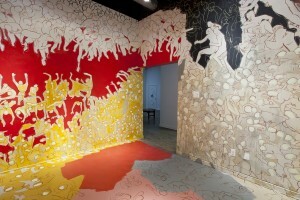 is held at Metro Gallery, 1700 North Charles Street. All music genres are eligible. The deadline for submissions is Tuesday, March 17 by 4pm. Attracting more than 350,000 festival-goers annually, Artscape features a full schedule of performing arts including live concerts from national, regional and local acts on multiple outdoor stages; professional dance troupes and a wide variety of opera, theater, street theatre and classical music performances. Additionally, the festival showcases visual artists from the Baltimore region and beyond through an artists’ market, outdoor & indoor exhibitions, film screenings, prize programs and more. Admission is free. 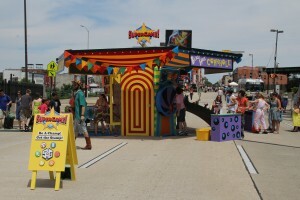 For more information on Artscape, call 410-752-8632 or visit www.artscape.org. The Baltimore Office of Promotion & The Arts is accepting applications to be a part of the 20th annual Baltimore Book Festival. Authors and literary exhibitors can apply to join the festivities at the Inner Harbor fromFriday, September 25 through Sunday, September 27, 2015. Applications are being accepted through Friday, June 5 and can be found online at www.baltimorebookfestival.org. The Baltimore Book Festival is produced by the Baltimore Office of Promotion & The Arts. The Authors’ Tent at the Baltimore Book Festival is comprised of published, self-published, local and independent authors promoting their own title(s). Accepted applicants each receive promotional space in a shared tent for one day of the festival. Literary exhibitors include booksellers, publishers, authors and educational institutions. Selected exhibitors are granted space for all three days of the festival. The Baltimore Book Festival, a premier celebration of the literary arts, features more than 200 authors, from award-winning children’s writers and illustrators to celebrity chefs and bestselling novelists, as well as regional talent on several stages, book signings, comics, more than 100 exhibitors and booksellers, children’s activities, cooking demos, exhibitors, panel discussions, poetry readings, live music and an assortment of food, beer and wine. In 2014, the festival attracted more than 100,000 attendees. Admission is free. For more information on the Baltimore Book Festival, call 410-752-8632 or visit www.baltimorebookfestival.org. Exhibition stills from EMULSION 2013. Gallery OonH images–Top image, street level; middle image, upper level; bottom image, outdoor courtyard. Photos by Greg Staley for East City Art. Gallery Owner Adah Rose Bitterbaum. Submissions must be received by Monday, February 20, 2015. The Bethesda Arts & Entertainment District is currently accepting applications for the seventh annual Bethesda Painting Awards. Up to nine finalists will be selected to display their work in an exhibition during the month of June at Gallery B in downtown Bethesda, and the top four winners will receive $14,000 in prize monies. Best in Show will be awarded $10,000; Second Place will be honored with $2,000 and Third Place will receive $1,000. Additionally, a “Young Artist” whose birthday is after February 20, 1985 may be awarded $1,000. Artists must be 18 years of age or older and residents of Maryland, Virginia or Washington, D.C. All original 2-D paintings including oil, acrylic, watercolor, gouache, encaustic and mixed media will be accepted. The maximum dimensions should not exceed 60 inches in width or 84 inches in height. No reproductions. Artwork must have been completed within the last two years and must be available for the duration of the exhibit. Each artist must submit 5 images, application and a non-refundable fee of $25. Digital entries will be accepted on DC in JPG, GIF or PNG format. For a complete application, please visit www.bethesda.org, send a self-addressed stamped envelope to the Bethesda Painting Awards, c/o Bethesda Arts & Entertainment District, 7700 Old Georgetown Road, Bethesda, MD 20814 or call 301-215-6660 x117. Field Projects is pleased to announce our 2015 Winter Open Call curated by Olivia Smith, Director of Exhibition A. Emerging and mid-career artists are invited to submit their work for consideration in our March 2015 exhibition. All of the submissions we receive will be considered not only for Show #25, but also for future exhibitions at Field Projects and a coinciding online exhibition to Show #25. Field Projects is an NYC-based project space located in the heart of Chelsea’s gallery district. As an artist run space, we are committed to opening the field of exhibition opportunities to other working artists. Whether you have submitted to Field Projects before or it’s your first time, we would love to see your work! Check out our last Open Call exhibition Show #21 winners and Top Ten runners up! Olivia Anne Smith is an artist, writer, and the Director of Exhibition A, where she has worked in collaboration with over one hundred artists to produce and distribute new limited edition art. Born in Dallas, Smith received a BFA in Studio Art, Art History, and English from SMU Meadows School of the Arts in 2011 and completed residencies at Les Subsistances in Lyon, France and Ubud, Indonesia. After concluding an internship at the Chinati Foundation in Marfa, she moved to New York City in 2012. Her interest in conceptual and socially-engaged art led her to stints at Artists Space and Creative Time, in addition to her role as curatorial assistant for a new Center for Art & Urbanism in Dallas. Smith lives in Brooklyn and works in Manhattan. Artists working in all mediums are welcome to apply. All artwork submitted must be ready to hang or install, completed work. Artists living outside NYC are also welcome to apply, however you will be responsible for artwork shipping costs. Artists working in new media, film, or video- you may be required to use your own equipment for exhibitions. Artist collectives are welcome to submit, please choose one artist representative to be our point of contact for your application. Friday, February 20th, 2015, 11:59 PM !! Selected artists will be notified the first week of March. Show #25 opens on Thursday, March 19th and will run through Saturday, April 25th. All artwork will be for sale at the gallery during the exhibition. Please pay the submission fee via the link below. 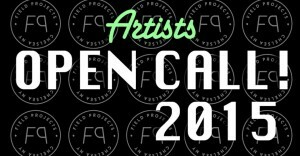 Next submit all of the following documents listed below by email to submit@fieldprojectsgallery.com. Please follow the directions below to ensure that you portfolio is properly uploaded by email. Title the email subject line with your name ONLY. Attach 5 JPEG images of your work or video links (see specifications below) to the email. -Video: please supply an image attachment, description and a video URL per video. Submit 5 images of your work for $25. Only one submission per artist please. Original 2-D and 3-D media, with the exception of video and installation will be considered. Wall hung artwork must not exceed 36″ in height or width or extend more than 6″ in depth from the wall. 3-D work must not exceed 5′ in height x 2′ in width or depth. Work should be framed (if needed) and have all necessary wiring and hardware attached. Fragile work that might incur damage in shipping or while on display should be framed. If there is a question regarding whether an artwork is appropriate for submission, the decision will be made by ACCR. Applicants are encouraged, but not required to apply for School 33 Art Center membership. To join School 33 or renew your membership, please visit http://school33.org/index.cfm?page=support or call 443-263-4350. With the Project Space, School 33 Art Center is committed to providing opportunities for emerging artists to present intimate bodies of work or realize more experimental installations that they may not otherwise have the support in doing. We are open to video projections, installations, mini-exhibitions, or any other ideas for which this would be an ideal space.